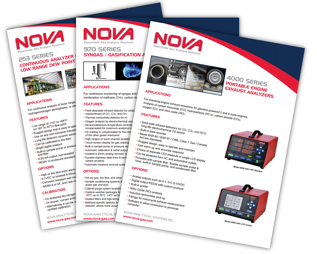 Here at Nova, we offer a wide range of continuous and portable gas analyzers. To help our customers get more information on potential analyzers and our range of offerings, we digitized our product brochures and made them available for download in our Resource Library. To access our brochure library, fill out the form to the right.